It seems like only yesterday – wait, it was only yesterday, in Martian days. That extra 39 minutes and 35 seconds simply flew by. 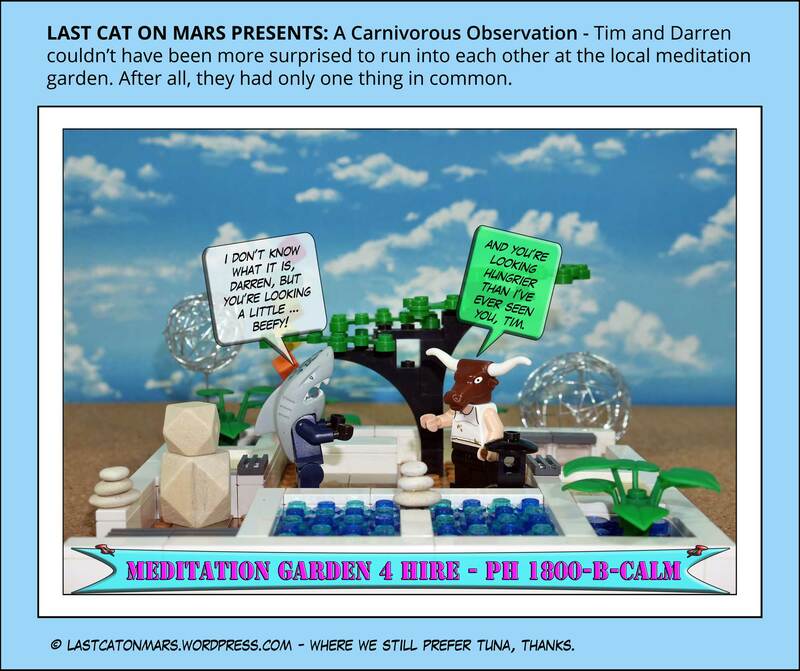 Well, it seems like only yesterday that I, too, needed the extra heft of a meditation garden to see me through lunch. And now, here are Tim and Darren, similarly situated. I don’t think it’s a vegan garden, but I guess that’s something to chew on over the BBQ. A quick meditation practice for all you wannabe breathabees: Count to 7 while inhaling. Hold for a few seconds short of bursting a vessel in your forehead. Exhale while counting to 7 and imagine the rainbow as you do it if you wish. Red, Orange, Yellow, Green, Blue Indigo, Violet. Yes, I get the Indigo and Violet mixed up, too, but then cats are colour-blind – what’s your excuse, cobber? 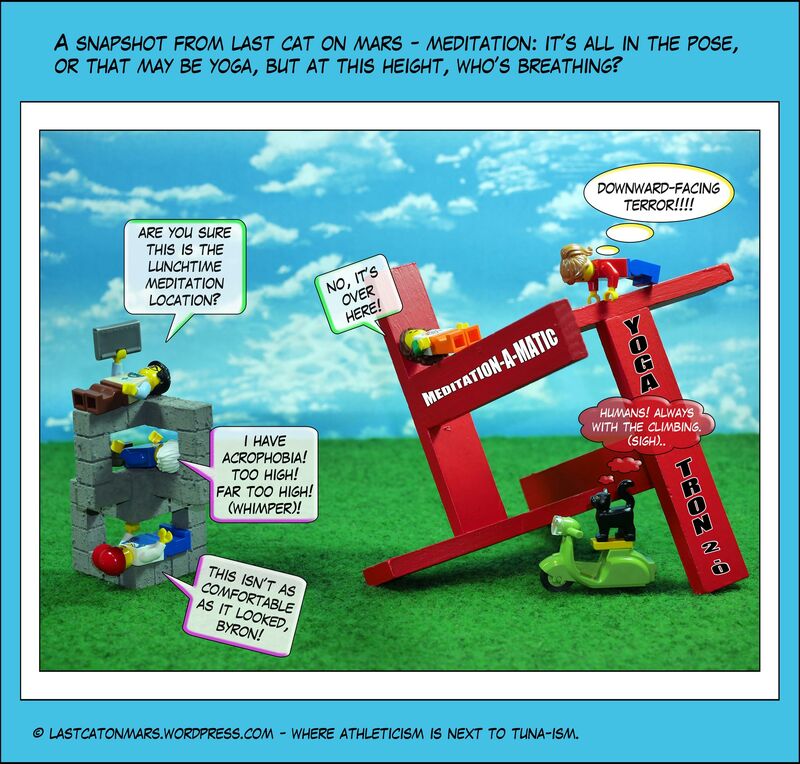 This entry was posted in Variety Show and tagged cartoon, comic, garden, lego, meditation, minifigures, sculpture, shark head, steer head, zen stones on December 13, 2017 by Jay Verney.